It’s rare that the perfect storyboard is created on the first iteration. 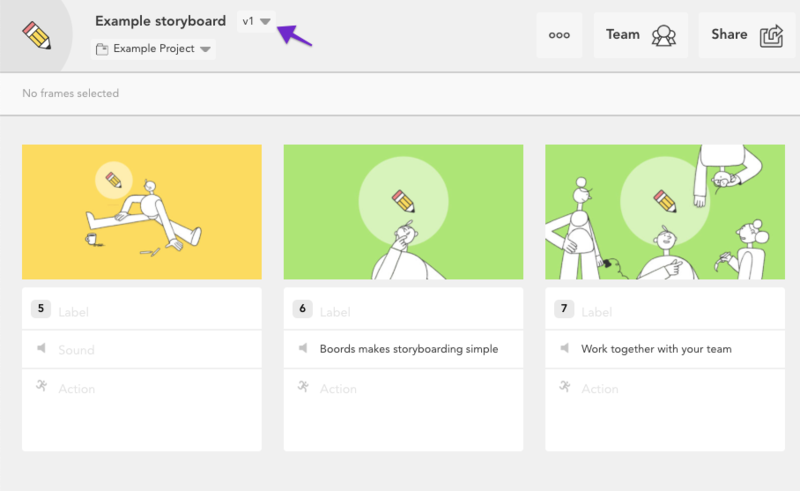 Creating an awesome storyboard generally means that you’ll need to make changes to your work, based on the feedback that you receive. The Boords versioning feature helps make the iterating process as smooth as possible. Versioning is available on both Plus and Team plans. If you’re currently signed up to the Free plan, but would like to use versioning, you can upgrade here. 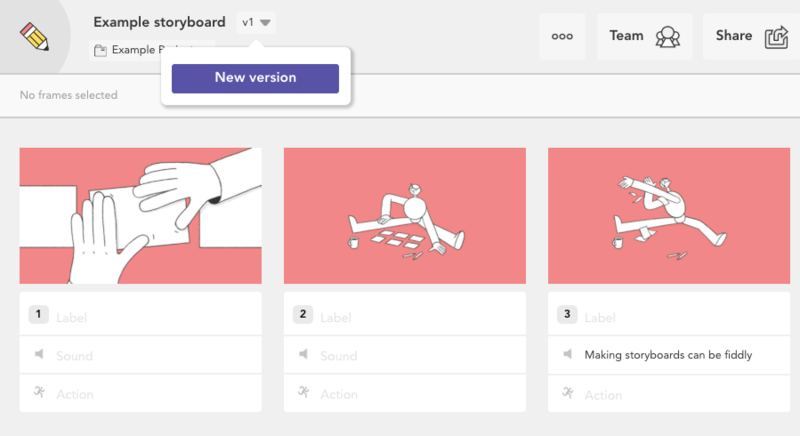 Next to your storyboard’s name, you’ll see the version that you’re currently viewing. To create a new version, click the dropdown arrow and choose New Version. All of the images and notes that you’ve added to your original version will be copied over to the new version, but the comments won’t be included. Check out this article to learn how to replace images between versions. 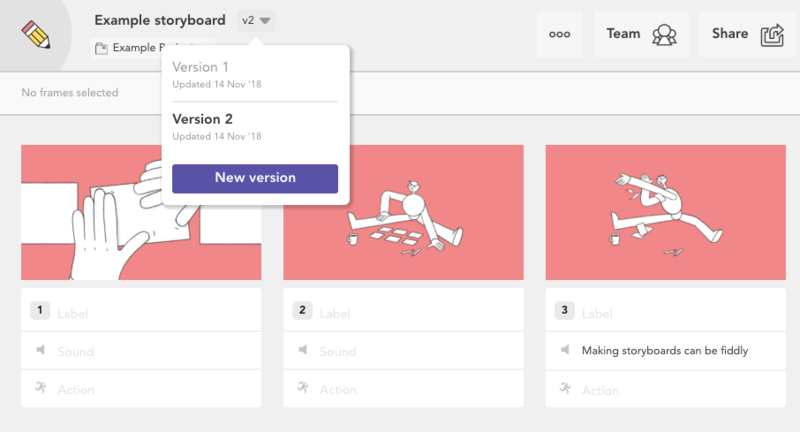 Update your notes in the Label, Sound & Action fields or use the Script Editor for more lengthy iterations. You can easily jump between versions, again by clicking the dropdown arrow. 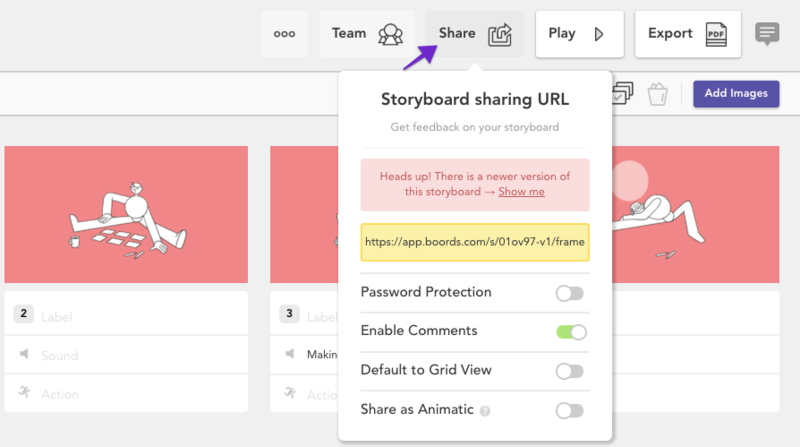 Share different versions of your storyboard using the shareable link. If there's a more recent version available, you'll be alerted of this. Remember that comments from previous versions won't be shown in updated versions!